Description: Although fisher folk's children do not have much, the young can nevertheless have fun. 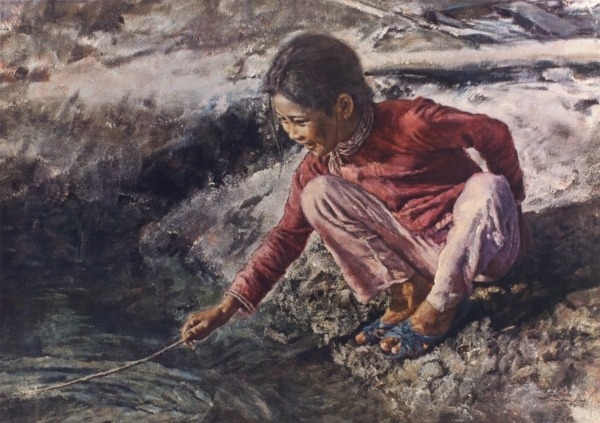 The girl in this painting is amusing herself by stirring the water with a stick. Perhaps there are tiny fishes in the water and she's using the stick to tease them, or perhaps she merely likes to watch the ripple of the water as she disturbs it.